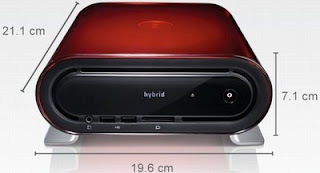 The Studio Hybrid is one of Dell’s newest offerings and is their smallest desktop. 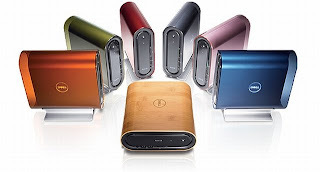 You can change the sleeves on the PC, which are available in 6 different colors or Bamboo. I wish it had come out earlier. However, the selling point is not the colours or it’s performance but rather it’s green credentials. 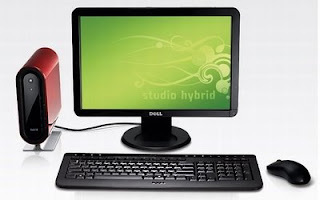 According to Dell, Studio Hybrid is their greenest consumer desktop PC. Like all small computers, there will not much room for upgrades involving addition of extra hardware. 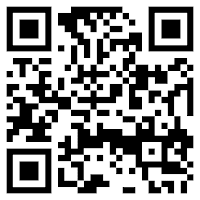 Prices of the Dell Studio Hybrid start from £399. I am not too sure about its green credentials but i do know for a fact that it appeals to me because of its design and colors. Too bad, i just got a new desktop.